Hey, this post is just a tribute to great tradition of learning any new thing with outputting a Hello World! label. If you’re a software developer like me, I’m sure you’ve printed this label many times in the past, using many different languages. 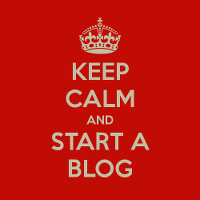 So you will understand why I just couldn’t resist starting my blog with it. My first Hello World! was at the age of 6 when I’ve written my first program using BASIC programming language. My elder sister had some computer science course in the university and parents bought an Agat II computer, which is a Soviet Union clone of Apple II. At that time I didn’t even know any english words and hardly understood what PRINT means, but the fact that I can output something on the screen was really amazing. After that, there were many different Hello World!, but I guess that moment really determined my future. What was your first Hello World?